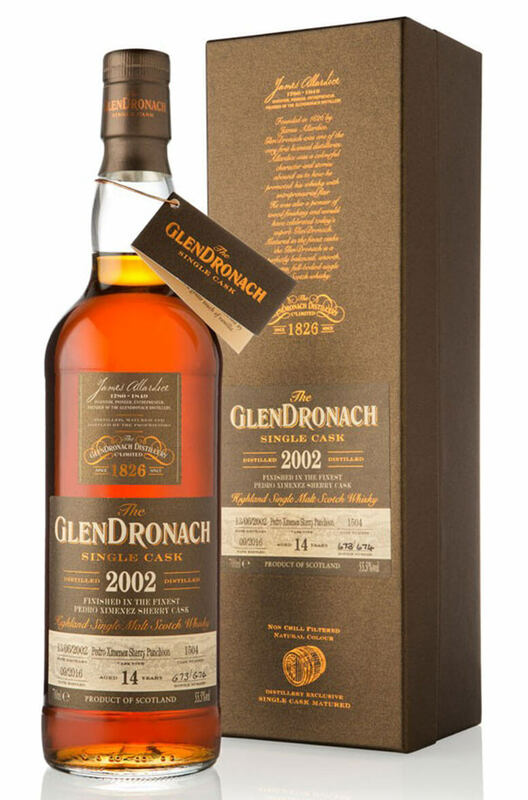 A superb Glendronach that was distilled in 2002 and aged in a single Pedro Ximenez sherry puncheon. Part of batch 14 of the Glendronach single cask releases. Aromas (with water) Milk chocolate with lively oak spice notes, generous helpings of treacle tart and rich plum compote. Flavour A rich, fresh sherry character. Ripe plums and damsons flow to stewed dark fruits, sweetened by dark chocolate and a gentle touch of vanilla. Types of Barrel used for Aging A single Pedro Ximenez sherry puncheon. A fine single cask Glendronach that has been aged entirely in a Pedro Ximenex sherry puncheon. Part ..